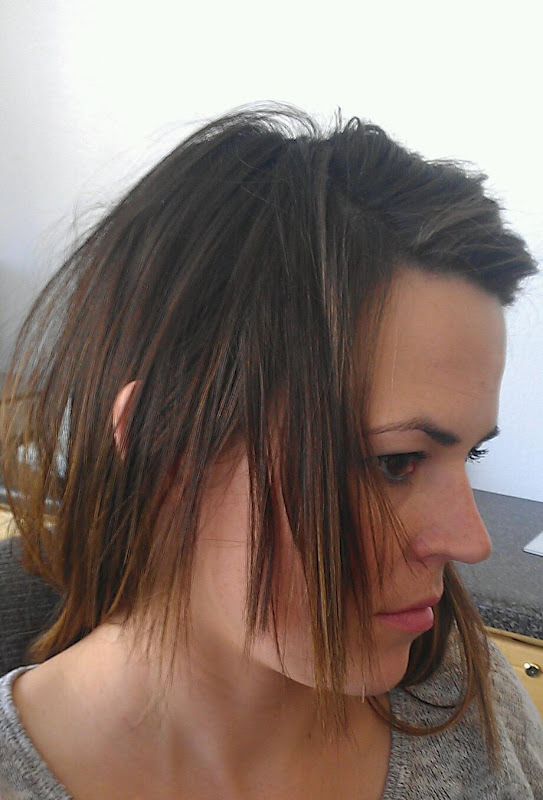 Tam-My blog: How my hair almost strangled Scarlett. It was a weird, fluky thing that happened a few weeks ago. I was sleeping with my girls in bed and it was about 5 am. Scarlett uses those binkys that they give at the hospital that are green and all one rubber piece. If you have used those binkys you know that if they get stuck in your hair they are really sticky and hard to get out. Somehow my hair got wrapped around Scarlett's neck and her binky got wrapped up in it all and held my hair in place. I woke up to Scarlett screaming in terror. That scream/cry is the worst and I have only heard it that one time from her. It was good she was screaming though because that meant she was breathing and had plenty of breathing room. I quickly figured out what was going on but I didn't know the binky was involved and I couldn't figure out why I couldn't get my hair unstuck. She was trying to move away so with one hand I had to try to keep her against my head so she wouldn't strangle herself and with the other I had to try to figure out how to get her unstuck. I could only fit one finger between her neck and my hair and I was starting to get scared. The really good thing is that I happened to be sleeping at Clint's house in the girl's bed so I hollered for Clint and he came in and tried to get it untangled but couldn't so I ended up just telling him to cut it so he did. That was tough because Scarlett was just screaming and thrashing around. I don't know how I would have done that alone. I don't know how I would have picked her up and held her with one arm and try to cut my hair with another. She was so wiggly and stuck almost to the top of my head. I'm just glad I wasn't alone and that my hair didn't slowly strangle her through the night. Holy cow I just keep thinking of how if it had been any tighter and then she had turned or something she could have just slowly died and I would have just been asleep next to her. This all happened in a span of about 3 or 4 minutes but seemed longer. 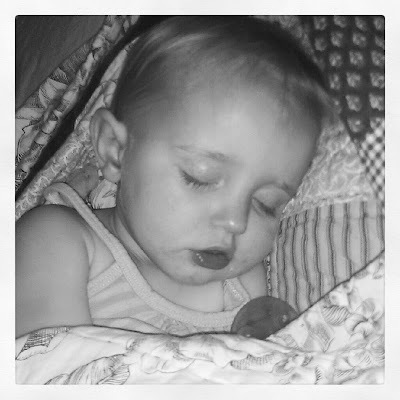 After it was over I just snuggled her and it took her about an hour to calm down and then she kept jolting awake and crying. It was so sad. She had a little red mark around her neck but after she got a little more sleep she woke up happy and fine. 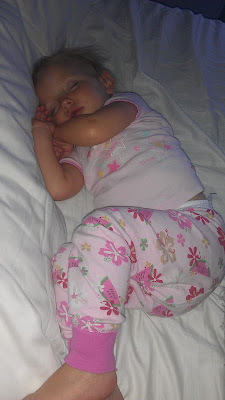 Here are some gorgeous pictures of Scarlett sleeping. Here is the piece of hair I had to cut. It was able to be blended pretty well into my hair. And yes I sleep with my hair up now, well at least until Eva is asleep and then I put it up. She can't sleep if my hair is in a pony tail. Oh man- that is scary! Good luck with baby boy! All I can say is... SCARY!